What Happens to Your Home in a Bankruptcy? To even consider losing your home after filing for bankruptcy is frightening. Don't panic! You're not in this alone. Understandably, we get emotionally attached to our homes. We’ll do anything in our power to avoid a situation where we might lose it. 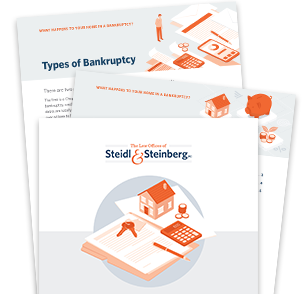 Steidl & Steinberg wants to ease your stress and help you understand the bankruptcy process, as well as what happens to your house. We’ve put together a comprehensive guide with everything you need to know. Loan modification and what it could do for you in a Chapter 13 bankruptcy. Don’t let the stress keep you up at night! Download our free guide now. The name and email address you provide to download this guide is for sign-up purposes only and will not be shared with outside parties. We are dedicated to respecting your privacy.